At Le Normandie in Pacific Grove for a quick weekend getaway. Jan made a reservation after doing some online research, and the dinner did not disappoint. I could have eaten only the amazing lobster bisque that started the meal, but luckily I saved room for wild sea bass and a bit of Jan’s filet mignon, plus the most delicious pear tart with almond paste. 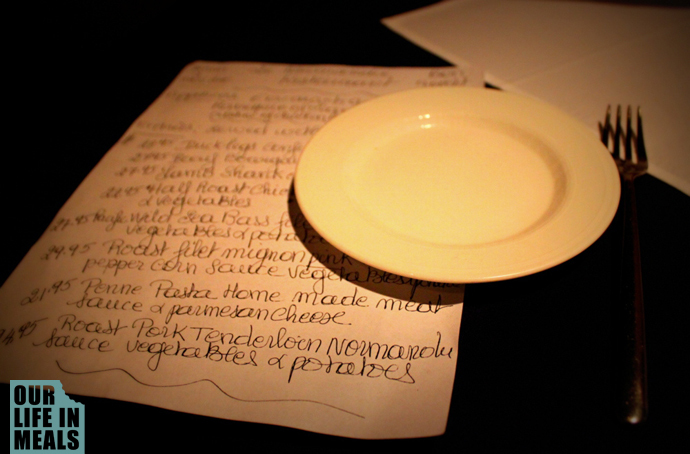 The daily handwritten menus are the norm, and we will most definitely be going back. Really liked what you had to say in your post, Le Normandie | Our Life in Meals, thanks for the good read!